We at mbaMission often receive questions about part-time MBA programs, so we thought we should offer a look at some of the pros and cons of this option. As for the pros, the one that business school candidates cite most frequently is that the part-time MBA involves a limited opportunity cost. Unlike a full-time MBA student, a part-time MBA student does not miss out on two years of salary (and, in some cases, retirement savings) and can still earn raises and promotions while completing his/her studies. Furthermore, firm sponsorship seems to be more prevalent for part-time MBA students, so candidates who have this option can truly come out ahead, with a free education and continued earning throughout. Beyond the financial rationale, many part-time MBA students see an academic advantage; they can learn both in the classroom and at work and can then turn theory into practice (and vice versa) in real time, on an ongoing basis. Of course, a cynic might add that another pro is that part-time MBA programs are generally less selective. So a candidate who may have had difficulty getting accepted to a traditional two-year program may have a better chance of gaining admission to a well-regarded school in its part-time program instead. As for the cons, many part-time MBA candidates feel that the comparative lack of structure means that networking opportunities within the class are limited. While one part-time MBA student could complete a school’s MBA program in two years, another might complete it in five. As a result, with candidates progressing through the program at such different paces, students will not likely see each other regularly in the same classes or at social events. In addition, in a traditional MBA environment, academics always come first; in a part-time MBA environment, work typically comes first, and academics must come second or even third, after family. In other words, the full-time program generally involves greater intensity with regard to the classroom experience, given that it is the focal point of students’ lives. Another thing to consider is that some programs do not offer their “star” faculty to part-time MBA students—something that candidates should definitely ask about before enrolling—and offer limited access to on-grounds recruiting. Of course, we are not trying to offer a definitive “answer” or present a bias for a particular kind of program; we are simply sharing some objective facts for candidates to consider as they make informed choices for themselves. MBA candidates looking to broaden their business school choices could also consider European MBA programs. Although many applicants who are competing for places at the top U.S. business schools are well aware of the strengths of the MBA programs at INSEAD and London Business School, even more options are available beyond these two, including IESE, ESADE, Oxford (Said), and Cambridge (Judge). These four schools in particular have been aggressively playing “catch-up” with their better-known brethren by raising funds and dedicating them to scholarships and to enhancing their global brands. Those who know their business schools are also aware that IMD offers a boutique MBA program with remarkable international diversity, very highly-regarded academics, and a stellar reputation with international employers. So, numerous options are available, and each can be explored on its own academic merit. But is earning your MBA in Europe, in itself, a good choice for you? For many, the key issue in determining this is where they would like to be after completing their education. If you are seeking to work in Europe, then clearly, these schools offer an advantage over all but the top five or six schools in the United States—Harvard Business School, for example, can probably open as many doors in Europe as INSEAD can. However, if you are seeking to work in the States, then the European schools will not provide the pipeline of opportunities that a top-ranked American school could provide, particularly for those who hope to work in a niche industry or with a company that is not a well-known international brand. 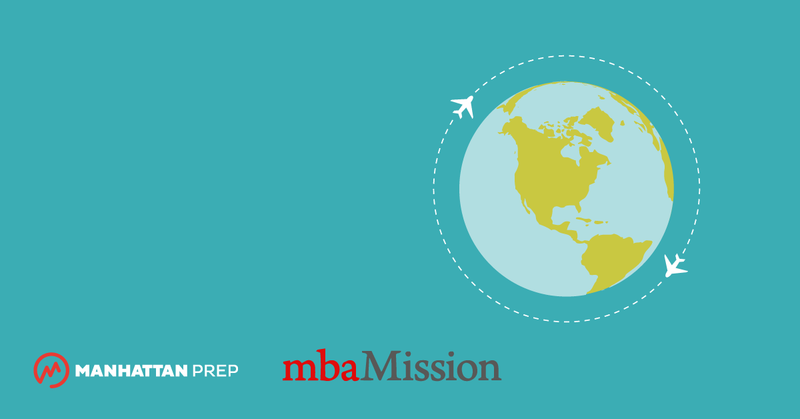 For more information on various international business schools, including INSEAD, Cambridge Judge, and IMD, check out the free mbaMission Program Primers.